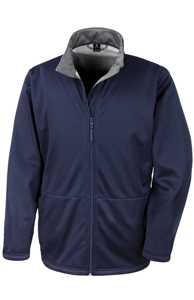 3 layer waterproof bonded fabric.4 way Super Stretch Soft Shell. Wind stop inner zip flap. Comfortable active fit. Zip through neck. Wind protect long back.